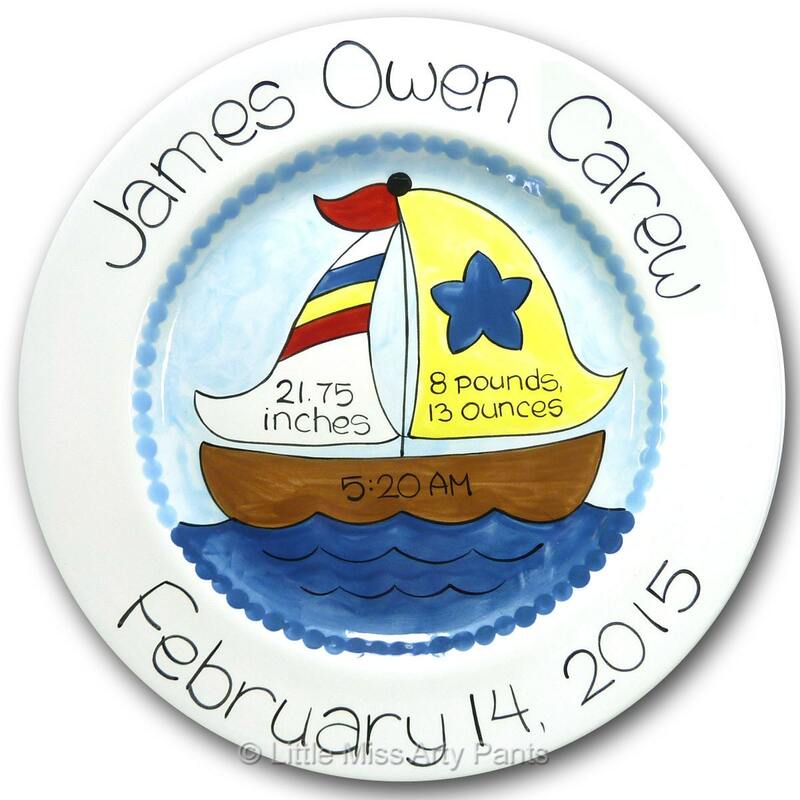 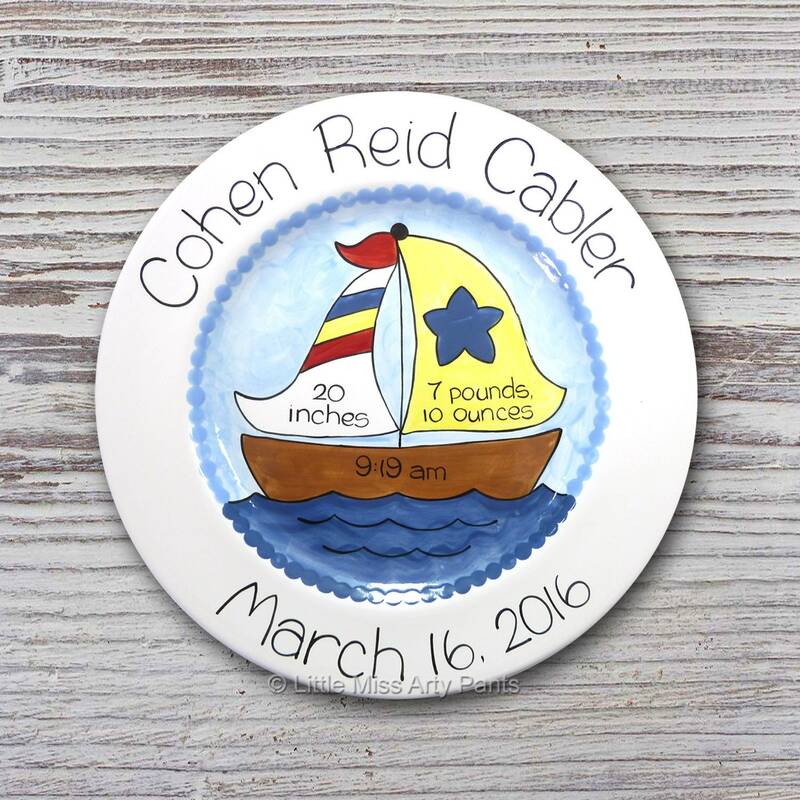 This personalized and hand painted 8.75" or 11" ceramic plate will make a special Birth Announcement/New Baby Gift for the proud parents to be. 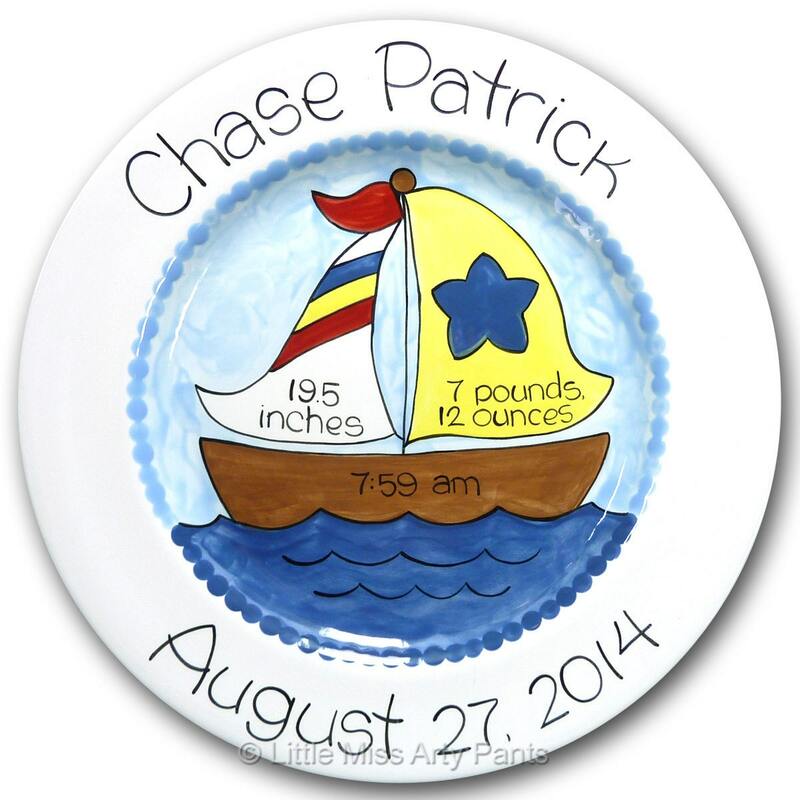 Grandma and Grandpa would love it too! 1. 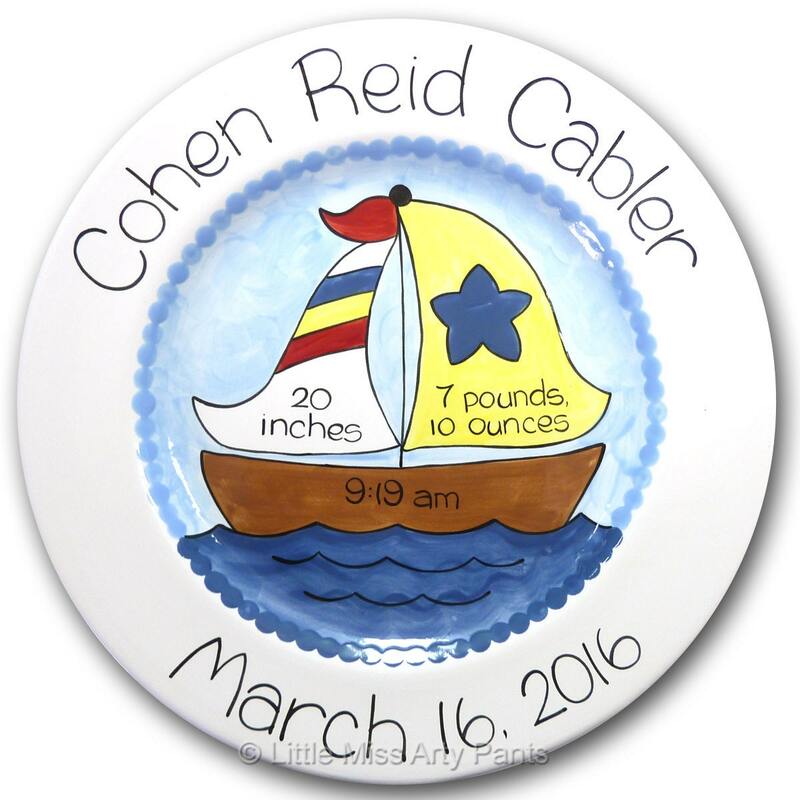 Baby's Name, Birth date, Weight, Time of Birth & Birth Length.